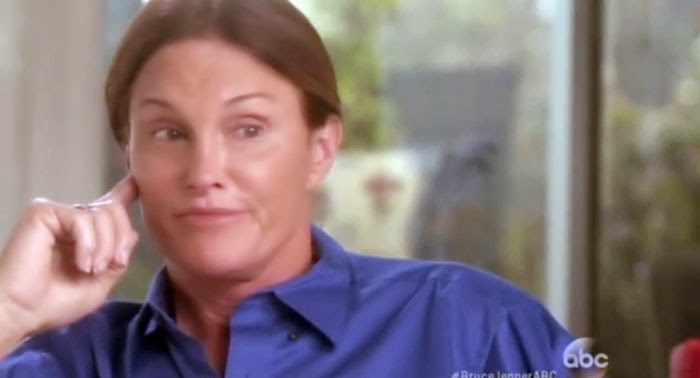 After months of speculation, Bruce Jenner revealed Friday night he's a transgender. In a two-hour interview with ABC News' Diane Sawyer, the former Olympian said: “For all intents and purposes, I’m a woman." He adds: “People look at me differently. They see you as this macho male, but my heart and my soul and everything that I do in life -- it is part of me. That female side is part of me. That’s who I am.” Bruce says he began wearing his sister's clothing when he was just 8 years old and then began transitioning into a woman back in the '80s, when he started female hormone estrogen. Since then he has undergone cosmetic facial surgeries and regularly dresses in drag. As for sexual reassignment surgery, the 65-year-old is unsure. “As of now, I have all the male parts and all that kind of stuff, so in a lot of ways we’re different, okay?” he said. “But we still identify as female. And that’s very hard for Bruce Jenner to say. Because why? I don’t want to disappoint people." Bruce has been married three time and each of his ex-wives (along with his sister) were aware of his gender identity struggle. They told no one. Bruce recently told his mother and his 6 biological children and 4 step children -- some of whom have caught him wearing women's clothing -- about his struggle and they all cried. "Mainly because they didn’t want anybody to hurt dad,” he said. “They are very protective of me.” For now Bruce isn't sure where his journey will take him and he did not reveal in this interview the female name he will go by. What he did reveal, however, is the name won't start with a "K."
...And it's not a publicity stunt. Speaking of stunts, he admits Keeping Up With the Kardashians isn't real life (du'h! shock! ), and he's the only person in that family with a "real story." Sidebar: He'll get to share that story with the world on E! Following the interview, the network announced it will air a yet untitled documentary series that "will tell Bruce’s intimate story and will join him as he seeks out his ‘new normal.'" The eight-part, one-hour series premieres July 26 at 9 p.m. on E!